Ed Logan was elected as chapter vice president and served from October 2015 until April 2016, when he assumed the presidency following the active-duty official's transfer out of state. He continues as president for the year beginning Oct. 1, 2017, to Sept. 30, 2018. The Litchfield Park resident became an AFA member while an Air Force Reserve Officer Training Corps (AFROTC) cadet at Arizona State University in Tempe, Ariz. He is now a life member of AFA. Following graduation in 1962, Ed attended investigators training in Washington, D.C., and served as a special agent with the Office of Special Investigations (OSI) for 19 years. He retired in 1982 as an Air Force lieutenant colonel after completing his last assignment as executive officer for the Systems Program Office at Space Division in Los Angeles. He then co-founded the Phoenix Chapter of the Association of Former AFOSI Special Agents with headquarters in Washington, D.C., eventually rising to the position of national president. Following service as an Arizona private investigator with clients including U.S. government agencies, he moved to California in 1993 and spent 10 years conducting investigations for federal and county government agencies. Since returning to Arizona and leaving government service in 2003, Ed has focused on serving with veteran-related groups, including AFA's Frank Luke Chapter. He sits on ASU's University Club Advisory Board, is past president of the ASU Alumni Veterans Chapter, and is chairman of the Military Affairs Committees at four local Chambers of Commerce -- Tempe, Peoria, Glendale and Surprise. Since becoming chapter president, he has received AFA's Medal of Merit and Exceptional Service Award. On Sept. 16, 2017, he personally received the chapter's Jack Gross Award for the most new members recruited in the past year. This was the chapter's third such award in 3 consecutive years. Sharon Marvin serves as chapter vice president, having served as chapter treasurer for a number of years. She is office manager for her husband's business, Prime Solutions Group, Inc., located in Goodyear. Joe served as Frank Luke Chapter president for five years (2008 to 2013) and has been Arizona State AFA president since 2013, overseeing activities of four chapters in the state -- in Litchfield Park, Tucson, Sierra Vista and Prescott. A stay-at-home mom while their two children were growing up, Sharon and Joe are now grandparents - son Jared, an F-16 pilot stationed in Albuquerque, N.M., and his school-teacher wife have a months-old boy. Daughter Megan lives in Seattle with her husband. Judy Logan joined AFA in March 2015 and has served as chapter Secretary-Treasurer since then. An Arizona native, Judy was born and raised in Phoenix. She graduated from Arizona State University in1964 with a bachelor of arts degree in education. She holds certifications in early education and reading specialist, and gifted endorsement and certification. She and Ed Logan were married in 1964 and she taught at Ed's active-duty stations including Okinawa, New York, Maryland, Texas, Oklahoma and Korea. Returning to Arizona, she continued to teach for 25 years in the Washington Elementary School District's gifted, multi-age center-based program. 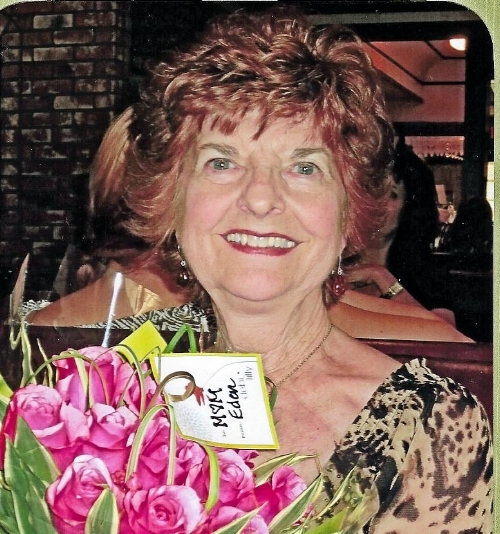 Judy is an active member of the alumnae chapter of Kappa Delta, Copper State Chapter of the Daughters of the American Revolution, and Delta Kappa Gamma International Society for Key Women Educators. She volunteers for a non-profit that collaborates with Make-A-Wish Foundation. She recently received the Air Force Association's Medal of Merit for her services as a chapter executive officer. Harry Bailey is the chapter’s appointed VP/Aerospace Education and VP/Membership. Aerospace education activities include coordinating with Junior AFROTC units in 18 area high schools for grants; soliciting volunteer presenters of the AFA medal at annual award ceremonies at the schools and at Arizona State University; soliciting nominees for annual selection of a Chapter Teacher of the Year; and publicizing AFA's special programs such as CyberPatriot and Space Xplorers competitions. Regular briefings are held at Luke AFB to inform newcomers about AFA programs and recruit new members. The Glendale resident grew up in Rustburg, VA. and earned an associate in arts degree in 1976 from Los Angeles City College, Republic of the Philippines. He served in the Air Force 30 years before retiring in 1982 as a chief master sergeant at Luke AFB. A life member of AFA, he joined in 1980 as a charter member of the Frank Luke Chapter and served as chapter president from 1989-1993 and 1997-2007, and as Arizona State president from 2007-2010. Among numerous citations and honors, he received the Freedoms Foundation at Valley Forge’s George Washington Honor Medal in 1995, the National Air Force Association’s Presidential Citation in 2004, the 56th Fighter Wing Thunderbolt Community’s Lifetime Achievement Award in 2006, and was inducted into the Arizona Veterans Hall of Fame in 2017. On Sept. 16, 2017, he and Chapter President Ed Logan received AFA’s Jack Gross Award in the larger-than-1100 chapter category for recruiting the most new members in the past year. The chapter has won this award for the third year in a row. As the appointed chapter VP for Communications, Luisa has produced the chapter's quarterly chapter newsletter for 22 years. As VP for Community Partners, Luisa manages a list of about 25 civic organizations and businesses who support chapter activities as Chapter Community Partners. The Glendale resident, originally from South Texas, received a 1-year scholarship to Brownsville Community College upon graduation in 1951 from San Benito High School. Marriage and frequent military assignments interfered with further education, and she retired at Luke AFB in 1988.from a 30-year Civil Service career in administration, and as a Public Affairs manager and base newspaper editor, She then spent 7 years with Maricopa County as a Public Affairs professional before retiring again in 1995. She began producing the chapter's quarterly newsletter in June 1995 and a rudimentary chapter website in 2000. Volunteer graphic designer Carol Coleman developed our formal website 2004, which has been updated once again to facilitate reception on mobile devices.